NuHarbor Security delivers end-to-end security programs and are a trusted partner to businesses and public organizations. They offer a complete portfolio of security services and best of breed security technologies to their clients, from advisory services to security testing and compliance assessments (HIPAA, FISMA/NIST 800-53, NY Cybersecurity 23-NYCRR 500, PCI-DSS, and more). Intervale Technologies is a premier telecom service provider servicing the New England area since 2002. Intervale provides cabling solutions for voice and data networks, from design to installation, and comprehensive video and audio conferencing solutions. 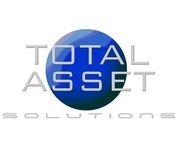 Total Asset Solutions specializes in providing businesses with first-rate solutions for their Tele-Communications needs. As an authorized Avaya, Jive, Nextiva & Ring Central Business Partner, Total Asset Solutions specializes in complete Premise as well as Cloud based business phone & voicemail systems. In addition, Total Asset Solutions also specializes in complete cable solutions for both voice and data wiring, as well as overhead paging, music and marketing on-hold, and other telephony adjuncts. Cloud Construct is a web design and development firm that builds web applications, designs responsive and mobile optimized websites, and creates software solutions that enable companies to do more, faster. 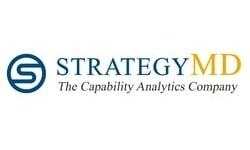 StrategyMD provides end-to-end consulting services from discovery through implementation focused on business process improvements. By using their CapabilityAnalytics™ software, clients are able to identify and prioritize specific capabilities in their business for improvement. 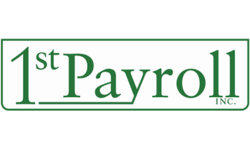 1st Payroll, Inc. is a family business specializing in payroll, time & attendance and human resources. They are born from a certified public accounting practice, and backed by more than 30 years of experience in the industry. Do you have a lead for us? Please contact us here!